Now more than ever, understanding contract management is critical to the success of business. As the lead off course in the Commercial Contract Handling, this course introduces the concepts, issues, techniques and best practices you will study in greater depth. 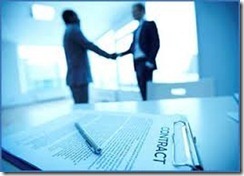 First, you will discuss the dynamic role of contract management in a multinational team environment. You also will learn the entire contract management process from both buyer and seller perspectives, from pre-RFP planning, proposal development, and negotiation through contract administration and close-out. Using the work breakdown structure as a framework for planning, the course explains all typical major tasks, responsibilities and customer interfaces. 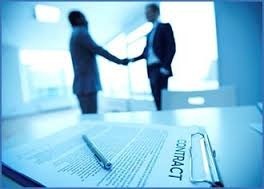 You will see how forces at work in the business environment affect the contract management process. This course will also emphasize the importance of Quality Assurance and Managing Contract Performance as part of Contract Monitoring activities to minimize company’s risk exposures. The course is highly interactive. Through group discussion, exercises and case studies to teach effective approaches to analyzing contract terms & conditions, assuring quality, managing changes, resolving disputes, and remedying inadequate performance. You will be immersed in the challenges that arise during the contract life cycle and will understand how to successfully apply proven best practices of world-class commercial companies.